March 30 – Sports Memorabilia Show: Collectors from the region will showcase sports cards and memorabilia at the Ocean City Music Pier. Vendors interested in participating can get more information from Lauren Sopko at lsopko@ocnj.us. April 6-7 – OC Con Comic Book & Memorabilia Show: Ocean City’s tribute to comics and memorabilia returns to the Music Pier. Registration is open to artists, vendors, cosplayers and “superhero” runners and obstacle course racers. Visit www.ocnjcon.com for complete information. April 13 – Doo Dah Parade: “I Dream of Jeannie” star Barbara Eden will lead this year’s parade as grand marshal. Individuals, groups, businesses and any other comic entries are invited to participate in the parade by signing up at www.ocnj.us/Doo-Dah-Parade. April 13 – Mr. Mature America Pageant: The pageant is scheduled for 7 p.m. Saturday, April 13 on the Ocean City Music Pier. The event is the first and only pageant of its kind in the United States. 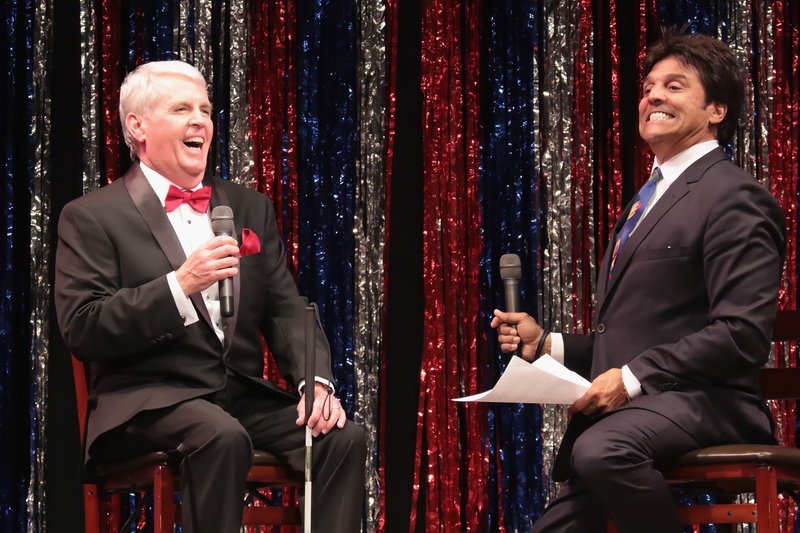 The pageant includes competition in talent, judge’s interview, poise and appearance, and on-stage question. Registration is now open for any contestant 55 or older who would like to participate. Visit www.ocnj.us/mrmature for more information and to sign up as a contestant. 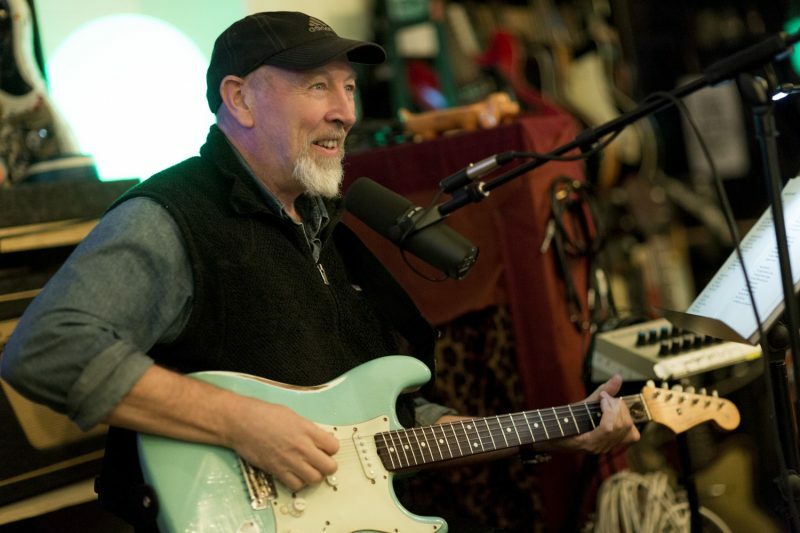 Richard Thompson, a legendary guitarist and songwriter, will perform songs from a career of more than five decades in a newly announced concert June 25 at the Ocean City Music Pier. The concert also will feature opening act Joan Osborne. Tickets for the show are on sale now. For more information and ticket links, visit www.ocnj.us/SummerConcerts. BUDDY GUY: Legendary blues guitarist and singer. Monday, June 24 – 7 p.m. HAPPY TOGETHER 2019: 10-Year Anniversary Tour starring The Turtles, Chuck Negron (formerly of Three Dog Night), Gary Puckett & The Union Gap, The Buckinghams, The Classics IV and The Cowsills. Sunday, June 30 – 7 p.m.
BOZ SCAGGS: Out of The Blues Tour 2019. Monday, July 1 – 7 p.m.
ALLMAN BETTS BAND: The sons of legendary Allman Brothers Band members Gregg Allman, Dickey Betts and Berry Oakley perform both new music and Allman Brothers Band classics. Monday, July 8 – 7 p.m.
KILLER QUEEN: The Premier Tribute to Queen. Monday, July 15 – 7 p.m.
LOU GRAMM WITH ASIA: The voice behind Foreigner performs the band’s classic hits. Opening act is Asia. Monday, Aug. 5 – 7 p.m. 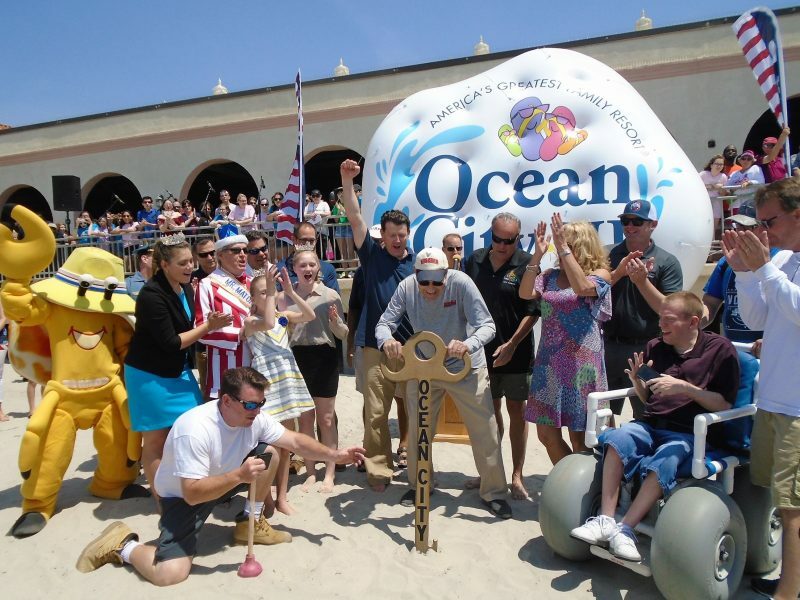 Retired Ocean City Public Relations Director Mark Soifer officially unlocks the ocean in May 2018. He will be at the Ocean City Library for a reading this month. MARK SOIFER POETRY READING (Feb. 20): Ocean City’s longtime public relations director – the mastermind behind events from Martin Z. Mollusk Day to the Miss Crustacean Pageant – will read poems from his 10th book of verse, “Pair of Dice Lost,” 7 p.m. Feb. 20 at the Ocean City Free Public Library (1735 Simpson Avenue). The book is illustrated by artist Jerome Lukas, who will attend the reading and demonstrate his talents. Admission is free. The Ocean City Free Public Library will continue its series of events in celebration of Black History Month. “Learn About Infobase Research Databases” will teach about the library’s research tools, particularly as they relate to African-American history. This event is 9:30 a.m. to 11:30 a.m. Tuesday, Feb. 19. Call 609-399-2434, ext. 5222 to register. Story Hour (10:30 a.m. Feb. 15), Toddler Time (10:30 a.m. Feb. 25), Story Train (1:30 p.m. Feb. 25) and a free film screening of “Selma” (12 p.m. Feb. 26) are also part of the schedule. 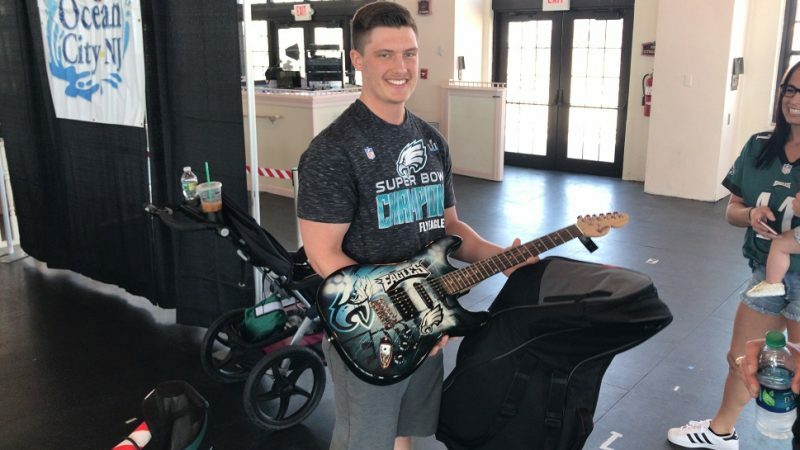 Brandon Burchell, of Northfield, had his Eagles guitar signed by Corey Clement last April at the sports memorabilia show at the Music Pier.